Katz's deli is crowded in the middle of a weekday afternoon, packed with tourists. All the tables are taken. Seats are being saved. I drift into the back with my hot dog and chocolate egg cream, and find an empty table. An older lady approaches, bearing a tray of fries, pastrami sandwich, and a Doc Brown's cream soda. I motion for her to sit. Her name is Norma, she lives in Chinatown, and she's been coming to Katz's since she was a girl in the 1940s. "There were four of us kids," she says, "and my father would cut this pastrami sandwich into four pieces, one piece for each of us. That was plenty." Katz's pastrami sandwich is big. Norma only intends to eat half of it, saving the other half to eat in the morning with fried eggs. "Please," she says, "help me with these French fries." So I do. A young man asks if he can join us. He's wearing a Katz's t-shirt and carrying a brisket sandwich on a plate. He's friendly, chatting with Norma and me. I figure maybe he's a busboy or a ticket giver. He tells us he's the fifth-generation owner (or third-generation, if you're being picky). He says, "See that sign on the wall that says 'Jake's Bar Mitzvah'? I'm Jake." Son of Alan, grandson of Martin (a close friend of the original owners), Jake Dell is a mensch. He talks with a boyish passion and excitement about Katz's, the way another guy his age might gush about working for the Yankees--or running an empire of artisanal gastropubs. I ask him how he got involved in the family business. "Since the womb," he says, laughing. "I was handing out tickets when I was six years old." But owning Katz's was never the plan. Jake was pre-med, with plans to go on to medical school, when he took a year off after college to help out his dad at the deli. "I fell in love with the place, and everything about it made me realize that this is who I was meant to be." He never went on to become a doctor. "When I told my parents I wanted to do this, my mother said, 'Are you sure? Let's think about it,' but my father was grinning from ear to ear." Before Jake came on board, the future of Katz's was uncertain. His father and uncle were getting older, ready to retire. It was 2009. The neighborhood was filling up with more and more condo towers and luxury hotels. While the family owns the building, rumors circulated that Katz's was not long for this world. Jake says, "I just couldn't imagine it becoming a condo, or having someone else running it. I could not handle that. So it was an easy decision. If I wasn't here, this place would disappear." He has zero interest in changing anything about Katz's. "If we keep things the same," he says, "that's what people love. It's nostalgia." 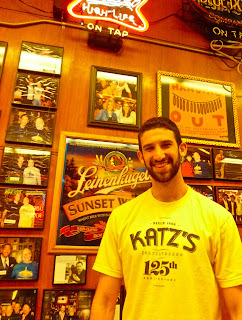 But he did come up with the idea to deliver--and to celebrate Katz's 125th anniversary with a street party on June 2. "We're shutting down Orchard Street. There's going to be klezmer music, maybe some old vaudeville acts, and a pastrami eating contest. Joey Chestnut, the hot dog eating champ, is going to be here. He told me to set aside six pounds of pastrami for him. He's going to eat it in ten minutes. Six pounds of pastrami! That's a lot of pastrami." After Jake goes back to work, Norma and I talk and keep working on her pile of French fries. She tells me how she used to go to school with a hot Katz's knish in one pocket, to keep her hands warm on winter mornings, and a pickle in the other. But no matter how many layers of paper she used to wrap the pickle in, her teacher could always smell its strong fragrance, and she'd be forced to throw it out. "So many memories here," she says. "It sounds silly, but every time I come to this place, I feel spiritually connected to my father." I tell her there's nothing silly about that. Then we talk more about Katz's and about Jake, how lucky we are to have him, to keep Katz's going. I marvel at how a young man would give up a career in medicine to run the family deli. "That's very rare," I say. Norma throws up her hands and says, "Oh, we have enough doctors. We don't need any more doctors. We need places like this. It's good for your soul." Norma is absolutely right - a visit to Katz, whether in celebration or to grieve a loss, is a deep necessity in any era. I am so glad to know that this irreplaceable establishment is alive and clearly healthy, one generation after another at the helm. Such a happy update, thank you! Awesome post Jeremiah. Thank you. I love it! I'm proud to say that my Great Grandfather owned a few delis in NYC in the early 1900's and because of the family lore I have a deep appreciation for deli. My Grandfather, who is pushing 95, worked in them and still tells stories about the pickle barrels and the counterman who could carve a turkey so perfectly that you could put it back together and couldn't tell where he had cut it. I kind of wish my family was still in the business. You're a lucky man Jake; But I imagine you already know that. Jeremiah, this made me SO HAPPY today!!! Between Jake and the Russ/Federman crew, at least two beloved institutions on Houston seem to be in great (young) hands. We -- us, our society -- is lucky to have folks like Jake who take an interest in what makes NYC so great, figures out how he can contribute and then goes out and does it. What a fantastic story. It's a shame that the generation of whitewashed cellphone zombies staring straight down into the eyes of their master won't ever know the joy of sitting next to a stranger at a deli or a diner and just learning by listening. That is just more collateral damage left in the wake of hypergentrification. Good for Jake. 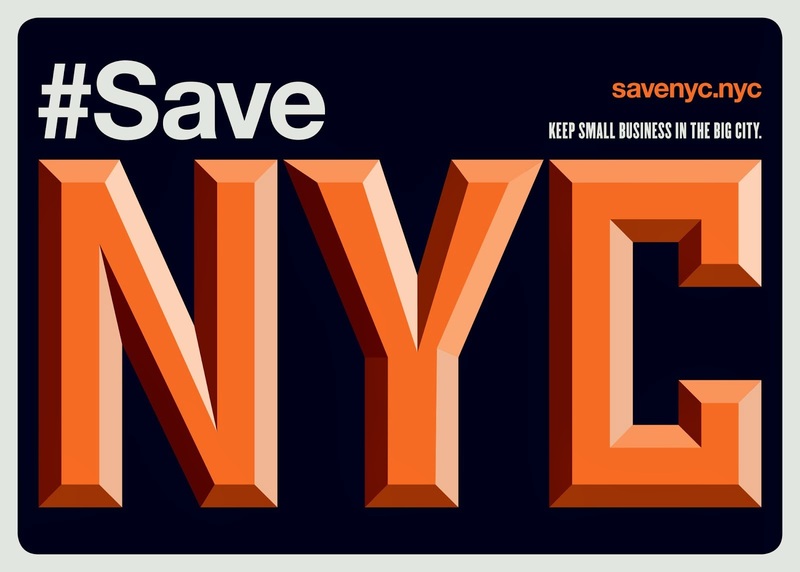 Good for NYC. I like it. I need to get down there one of these days and have 2 hot dogs and fries and of course a cream soda. "She tells me how she used to go to school with a hot Katz's knish in one pocket, to keep her hands warm on winter mornings, and a pickle in the other." Still waiting for Katz's signature frozen yogurt. I kid! I kid! Good for him. The epitomy of old school NYC. Since the link to meat eating and heart disease has been debunked by top doctors and scientists, there's no reason to worry about his health or get frequent check-ups. Read "The Cholesterol Myth." Long live Katz's and their pickled green tomatoes. We need more Jakes in this world. This is one of those rare situations where a heavy flood of tourists is keeping a place the same. And if that's what it takes to keep Katz's alive and well, then that's what it takes. You do realize that after writing this excellent entry, Katz is going to close soon in favor of a froyo emporium. this story gave me goosebumps--the good ones. And long live Jake Dell! I'd go there more often if my health allowed me to eat more pastrami or if most of their other food wasn't truly terrible. This post made me want pastrami and I settled for Boar's Head garbage near my office. Totally inadequate. I'll have to fix this soon. Yeah it's a tourist trap, but for the right reasons! Fantastic! Beautiful post, & so heartening. Yes, there are some great NY kids out there. I grew up in New York, and believe me, Katz's is New York! We even have them ship to us in Oklahoma City. When we know the Pastrami, Knishes, sour pickles and hard salami are on the way, we can't wait to get home to eat (and eat, and eat...). And of course, it wouldn't be complete without the real deli mustard and rye bread. Thanks, Jake. You're doing a great job! One of your best posts ever! I can't wait to come back to New York and meet Jake! Sorry I didn't meet him when I lived there! Thanks for this one, Jeremiah! That was an awesome post. Jake proves that not all New York institutions go away because the new generation gets bored with them. We're lucky to have him breathing life into something that we would all be the poorer for losing. I know exactly what Norma means, since, I too, have been going to Katz's sine I was a little girl in the 1940s. Whenever I'm there now, my grandmother, my Aunt Bessie and Uncle Herman and my parents -- all gone -- are sitting at the table with me once again. just the way we did then. Long live Katz's! Upon moving from NYC to Chicago, I hung a framed Katz's menu ("A Delicatessen for 107 years") in my kitchen. It's still there, and I hope Katz's always will, too! I love, love, love this blog post! My grandfather, God rest his soul, was a butcher and ran his own delicatessen. He and I were both blessed with the gift of gab, and make friends no matter where we go. This post is a reminder of all that is still good and right with this world we live in, and reminds me of him this morning.Thanks again, for sharing this. Hats off to you Jake. Best restaurant in the damn town. Forever.